“Squeezed Light” has been produced and researched on our optics table in the Toronto lab. 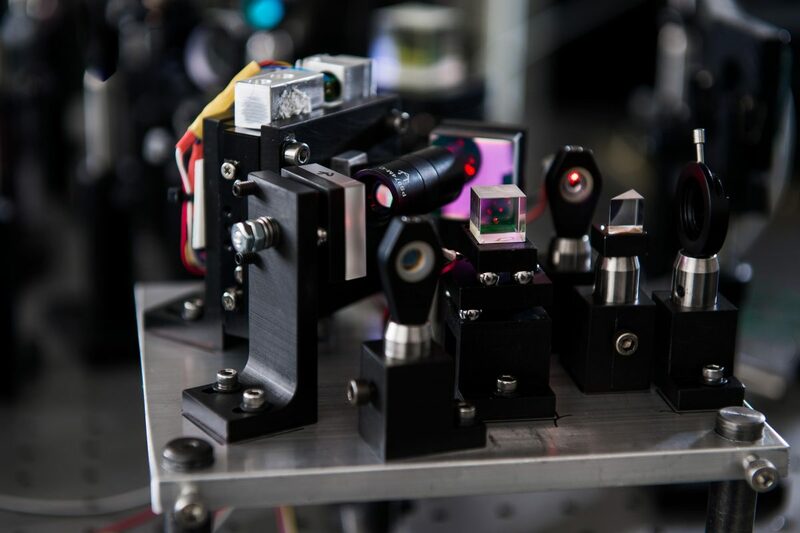 The squeezed light device is built from over forty precision lenses, custom engineered light detection devices, custom designed real time optimization controls, nonlinear crystals with environmental chambers, and a high power pulsed laser. Generating squeezed vacuum light is the first of several negative energy density devices which we are constructing. The experiments that are being performed will provide the necessary experience and expertise for determining how this exotic form of energy will play a role in future space travel. 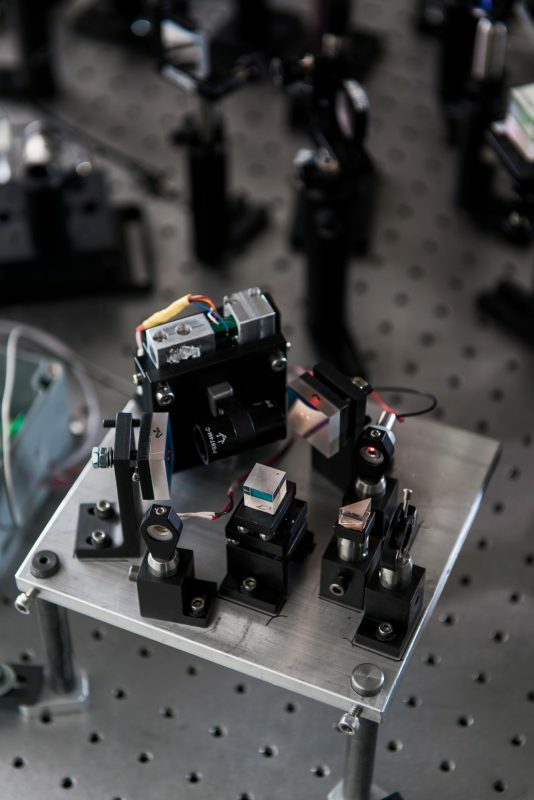 The apparatus that generates the Squeezed Light was designed and constructed in such a way as to allow for variations in the nonlinear optics media used to down-convert the pump light, without major modification to the system. 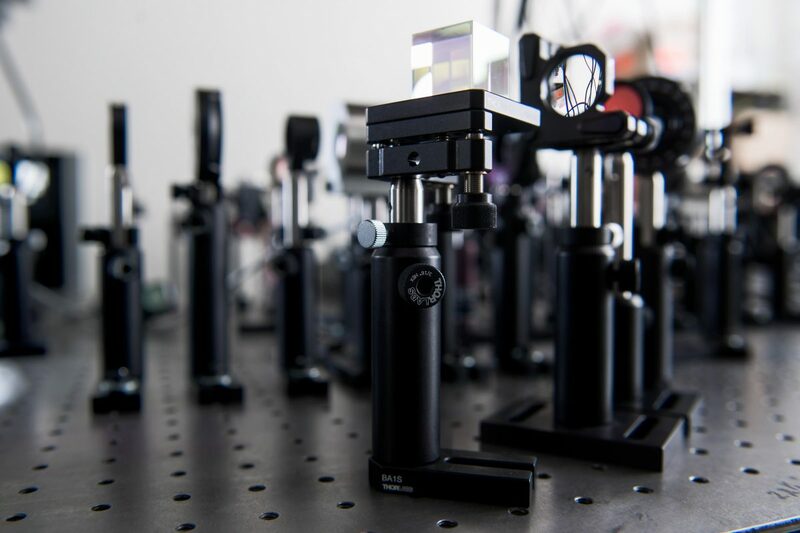 This will allow us to experiment with other exotic materials with far greater nonlinear coefficients than are currently available using crystals. To date, the largest degree of squeezing of the amplitude channel obtained experimentally is -14dB using standard nonlinear crystals. We hope to produce squeezed light with a much greater reduction in the amplitude channel so squeezed vacuum states will be much more pronounced and detectable. Measuring the degree of squeezing produced is accomplished using our Balanced Homodyne Detector (BHD) system and Quantum Tomography software. 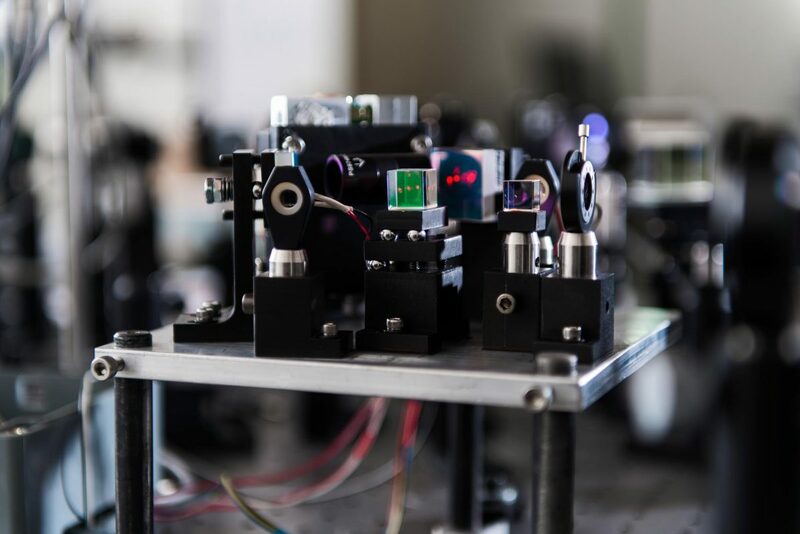 With this sensitive device we are capable of quantifying the degree of squeezing of both bright and vacuum squeezed light.